Is VAT Payable on hot pasties? When is hot food hot or not? These are key questions/issues that our insolvency practitioners often see takeaway food outlets fall foul of. Insolvency can often be the result, with a pre pack administration proposed by our London team in this case. It is a crucial question because the answer determines whether HMRC considers the food item is VATable or not. Getting it wrong, even accidentally, is a miscalculation that can lead to significant trouble – and it happens ferequently – as this case study demonstrates. This case involves a bakery chain with 50 high street shops and a turnover of c.£4million. In common with many high street retailers, especially in the restaurant and takeaway food sector, the company had been struggling as a result of increasing rent and business rates. However the big issue that resulted in our insolvency practitioners being called in concerned VAT. Specifically, the chain hadn’t correctly recognised that VAT was payable at point of sale on certain of its products: hot pasties. The reason for this miscalculation lies in the correct interpretation of what constitutes hot food. In this instance, hot pasties are not subject to VAT if served hot direct from baking. However, if the pasties (or other takeaway food) are either kept hot or warmed again for sale, then that is when they become VATable @ 20%. 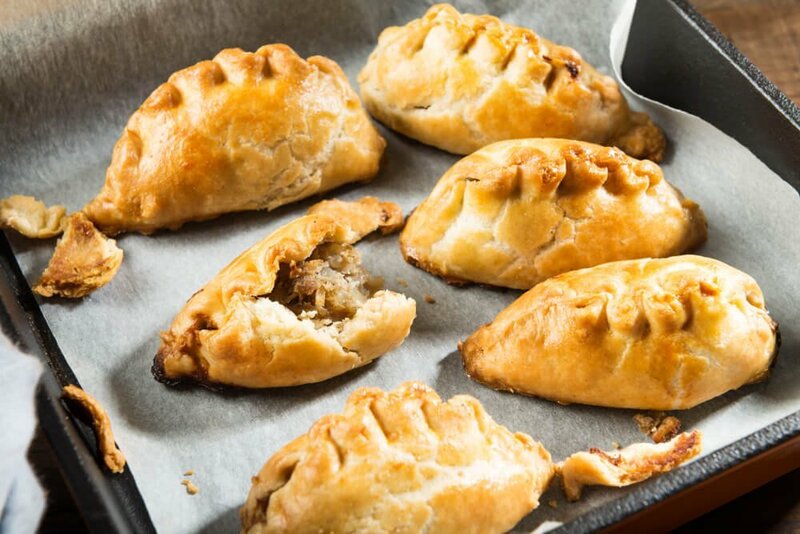 This distinction has long been seen as a grey area, and one that caused a major outcry when the Government attempted to introduce the so called pasty tax in 2012. In this case, along with its PAYE, the business’s miscalculation on the mistreatment of VAT led it to believe that it was in a net reclaim position on VAT. In reality, the miscalculation meant that the business owed HMRC a significant sum of VAT: a sum that it couldn’t pay, leading to insolvency. Click here to see a similar case that we worked on, where a chain of kebab shops went into liquidation following an unavoidable VAT liability caused by the hot takeaway food issue. As Proposed joint Administrators, a Pre Pack Administration is Likely to be the Insolvency Procedure Used. Two of our licensed insolvency practitioners, London based Antony Batty and Essex based Tom Gardiner have been proposed as joint administrators for the business. A pre-pack administration looks to be the answer, with the potential to save hundreds of jobs and provide the best possible outcome for the creditors, given the current situation. So why is a pre-pack likely to be the insolvency procedure of choice in this case? Firstly, if a liquidation was used, all leases on the company’s outlets would be lost or at least be at high risk of being lost through forfeiture action by the landlords. Secondly, all employees would have to be made redundant in a liquidation. Finally, there was insufficient working capital to allow trading to facilitate extensive marketing and identifying a purchaser. There was no willingness by the Board or the secured lender to finance trading for any period. The benefits of achieving a pre-packaged sale, therefore, were to achieve a sale of the business and assets without the value of specific assets deteriorating through disrupted trade. The employees were transferred prior to completing the sale as in the short term, the services provided by the Company could operate independently. What is the Difference Between a Pre-Pack Administration and an Administration? A pre-pack Administration is the same procedure as for an administration, in that both are methods of closing down an insolvent company, with particular focus being paid to selling off parts of the business as going concerns, to minimise job losses and maximise the returns to creditors. The only significant difference between a pre pack and a straight administration is that there is a purchaser for the company already in place with the former. Under these circumstances, it is usual that all of the terms of the sale will have been agreed in advance. This will mean that once the administrator has been appointed, the sale can be completed. A pre pack administration procedure is used if there is part or all of the business that can be sold or is worth trying to salvage. Above all, perhaps, the speed of a pre pack administration, and the quick completion of the sale means that as much goodwill as possible is retained, as well as jobs. Our Insolvency Practitioners, based in London, Brentwood, Salisbury and The Cotswolds, are highly experienced and expert in supervising administrations, including pre-packs. Click here to see some of our testimonials. In general, our advice is to act quickly when you spot that your business is in difficulties, as the sooner you take advice and action, the more likely it is that plans can be put in place to turn the business around. If the business cannot be saved in its current form, then a formal insolvency procedure will be used, of which a pre pack administration is one, in order to get the best possible outcome for creditors and employees alike. Contact us or call us on 0207 831 1234 for a FREE initial discussion.